Folder8 is a free classic asp tool used initially for my own personal purposes, then decided to share it here to be used for free.  Folder8 is an FTP folder browser to convert any folder you have in your Windows FTP server into a cloud, visible by anyone you share the link with. Modern website layout, built with Twitter Bootstrap, Font-Awesome font icons, Fileicon.css and FancyBox v3 to give the look and feel of modern websites in all devices, no DB needed, no Setup, just copy, paste and browse. 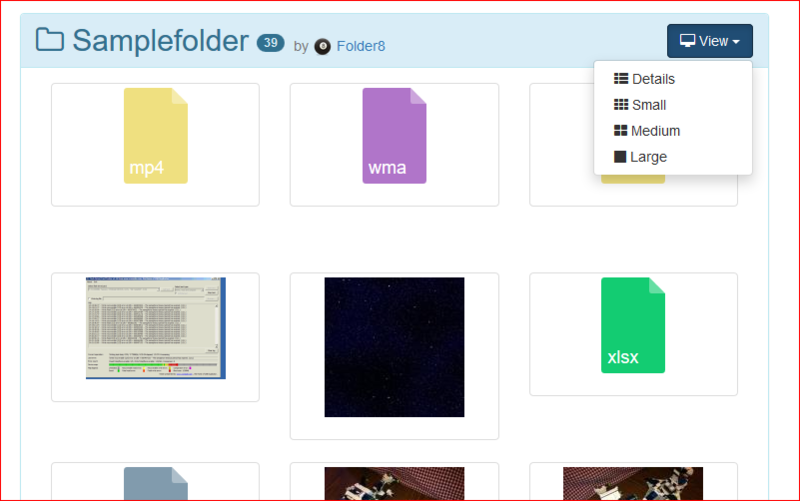 One copy of Folder8 to browse several folders, see how to do that here. Highly customizable through calling parameters. Control if viewers may rename, delete files. Control if users may edit ASCII files (txt, php, etc). Descide if viewers can see sub-folders or not. 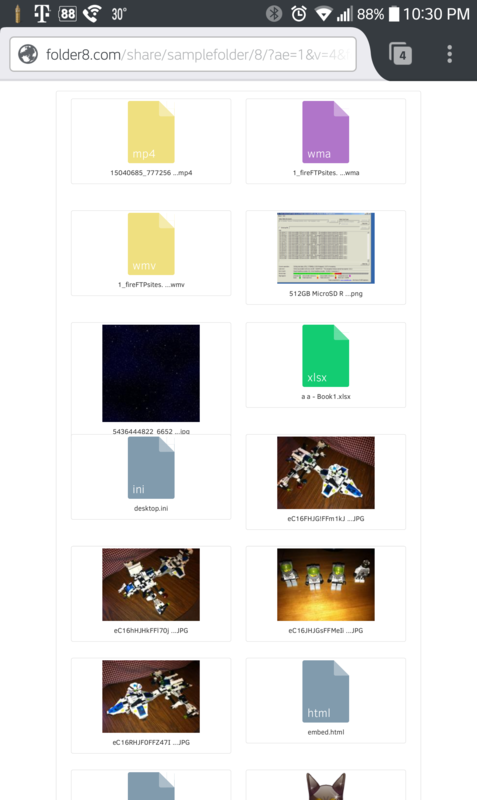 In both versions, you may not remove links to Folder8, feel free to modify the code, but if you do, you need to show credits of Folder8 as owner. It uses classic ASP, means can only be used in Windows Server, other servers like Linux may use other tools written in php for example, I am sure there are a lot of them out there. 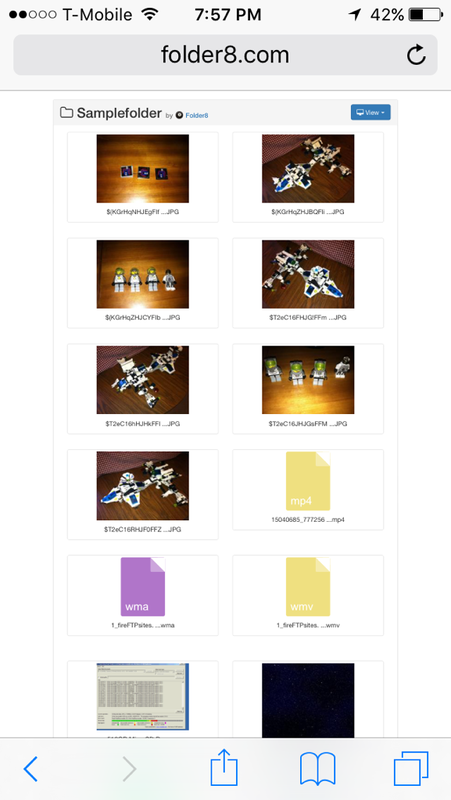 ASP.NET also needed to resize images inside the view, (you may ignore if you do not have images). This is the default setting in all new Windows Server IIS versions. Core files with bootstrap, Font-Awesome and other libs, without icon sets is 1.5 MB. No need for any setup, just paste the content of the zip in any folder in your Windows FTP server, then browse to that folder from any web browser. 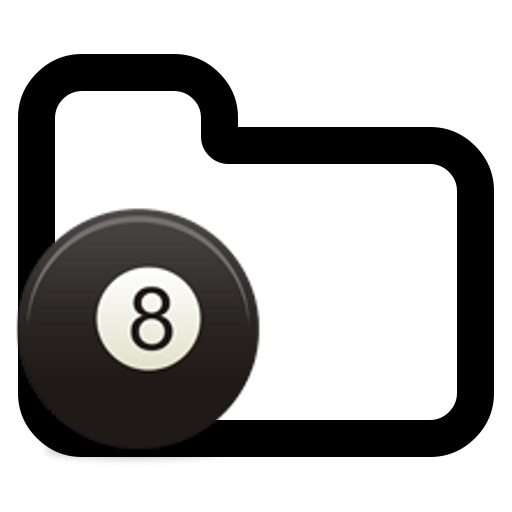 By default, Folder8 reads the content of the parent folder where 8 is placed. 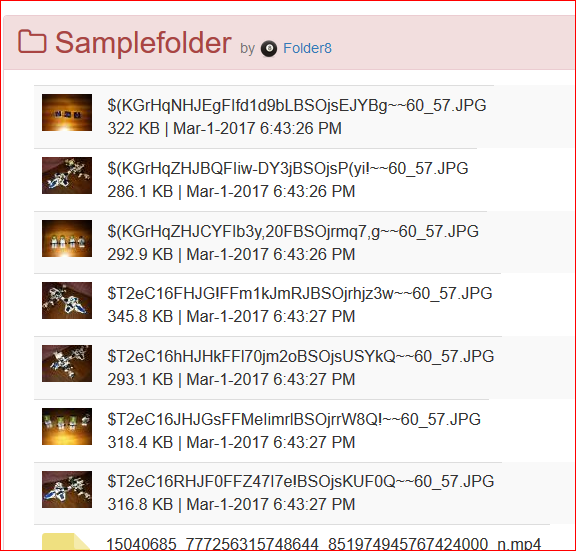 Means when you put the folder 8 from the zipped folder in an FTP folder, named MyFolder, all files in MyFolder will be shared. Please report any issue below, so we can keep enhancing it, or if you have some suggestions can also be posted below. Thanks! iFrame is not supported in this browser!!! 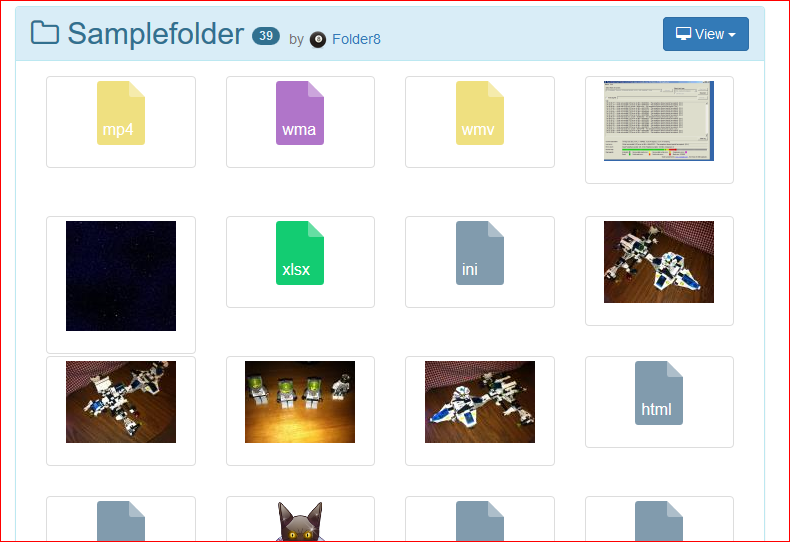 So once you http-browse to folder 8, contents of SampleFolder will be shown. 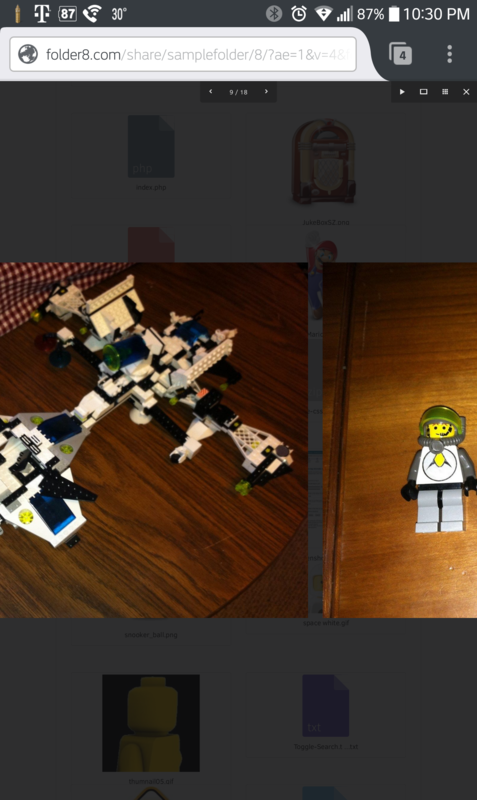 More examples. 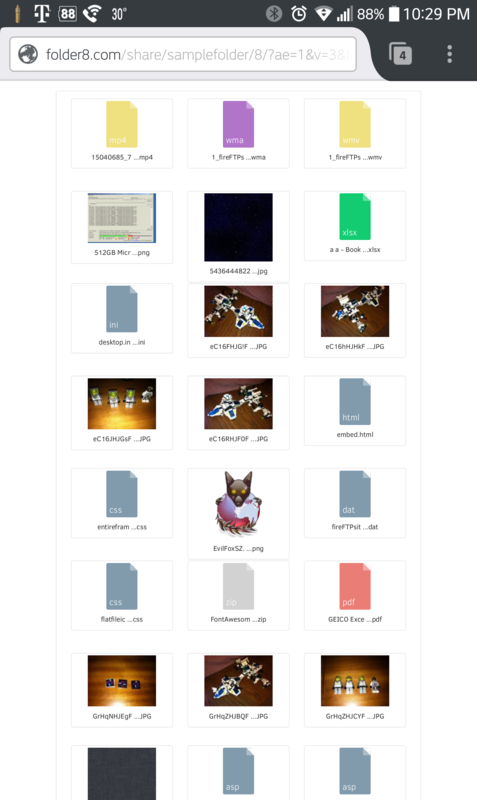 Header area color, the panel header color using bootstrap contextual classes, accepts [default, info, primary, warning, danger], default is "default"
By default, Folder8 will display the content of the parent folder of the folder "8" after pasted in your Windows FTP server. 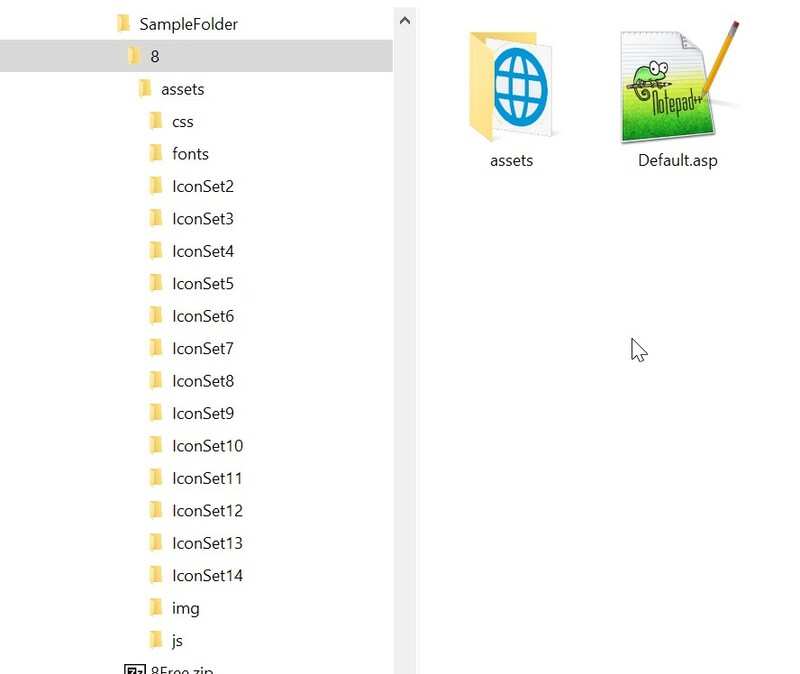 So, you can copy and paste the folder "8" into as many folders as you want to share the content of these folders. Please report any issue, feedback or comments in this github, so we can keep enhancing it. Folder8.com is by ANmar.Systems. Built with Classic ASP, Bootstrap. Font Awesome and Fancybox v3.